Yea, even though false is no way applicable to the question. Its false. I’m not sure if it’s intentional, but I’m seeing a reason for choosing to draw Portal 2’s Wheatly. 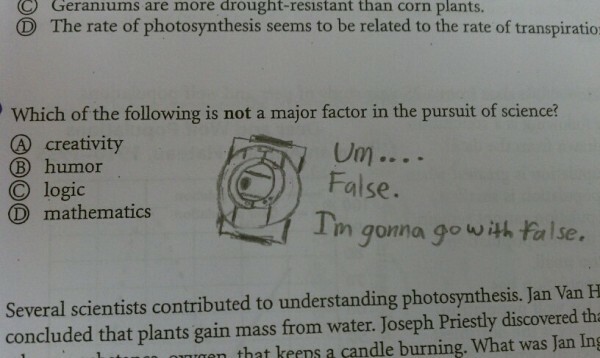 The teacher’s answer to the question is B: Humor is not a major factor in the pursuit of science. However, Wheatly pursues science, and he is very humorous. Therefore, the answer is none of the above, or as Wheatly might say, False.